Spread ingredients on flour tortillas. 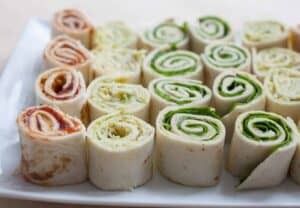 Roll into tight pinwheels and cut into slices. This delicious recipe was brought to you by Macheesmo. Read the full post at https://wp.me/pkSYO-fv0.